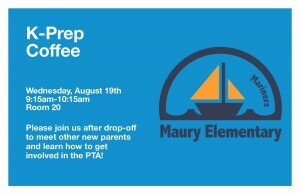 K-Prep Coffee Invite for August 19th! 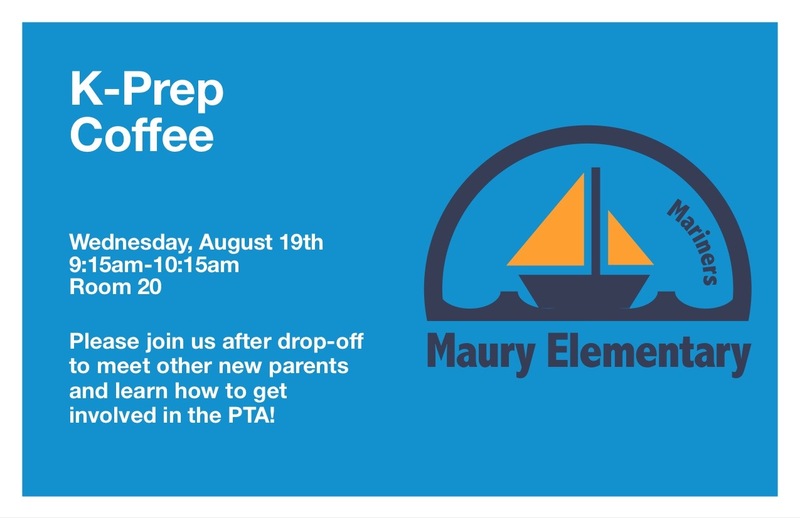 Please join us after K-Prep drop-off on Wednesday, August 19th from 9:15-10:15am in Room 20 for coffee and carbs to meet other new Maury parents and learn how you can get involved in the PTA. We will have a membership table with information about various committees and the time commitment involved, along with a couple of knowledgeable old-timers to answer any questions you may have.